After two decades working in forensics, as a self-taught artist, I started painting during my coffee breaks as an escape from witnessing firsthand the grittiness of crime scenes. 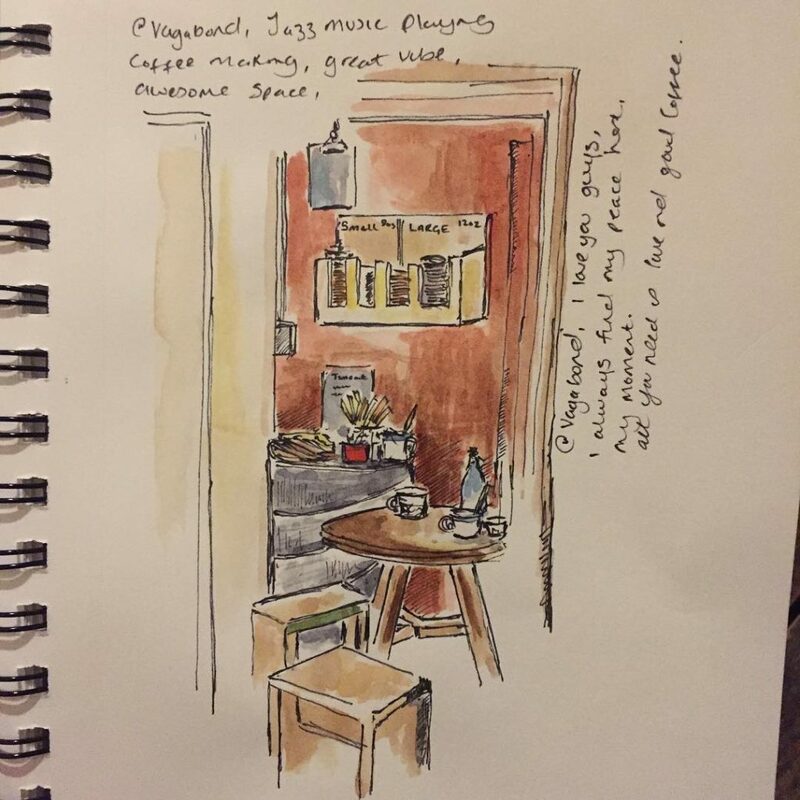 Painting in coffee shops reminds me that there is a beauty to be found everywhere. 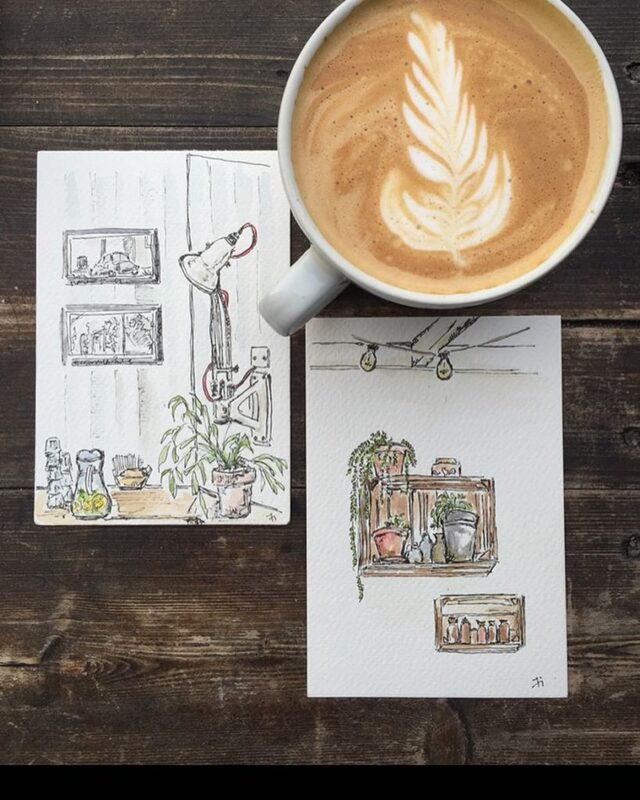 What has emerged are my postcards and bold paintings, simple yet creative moments captured whilst drinking coffee. 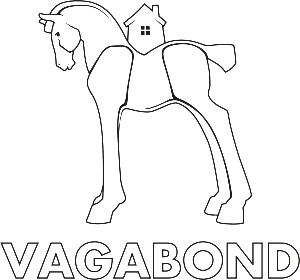 Coffee is about engagement with people, it breaks down barriers – Vagabond and London coffee shops are an escape and platform to engage with other people I would never have spoken to. Through my art-work I bring these moments to life, there’s such power in drinking coffee and it has influenced how and what I paint. I am a regular on the coffee scene. 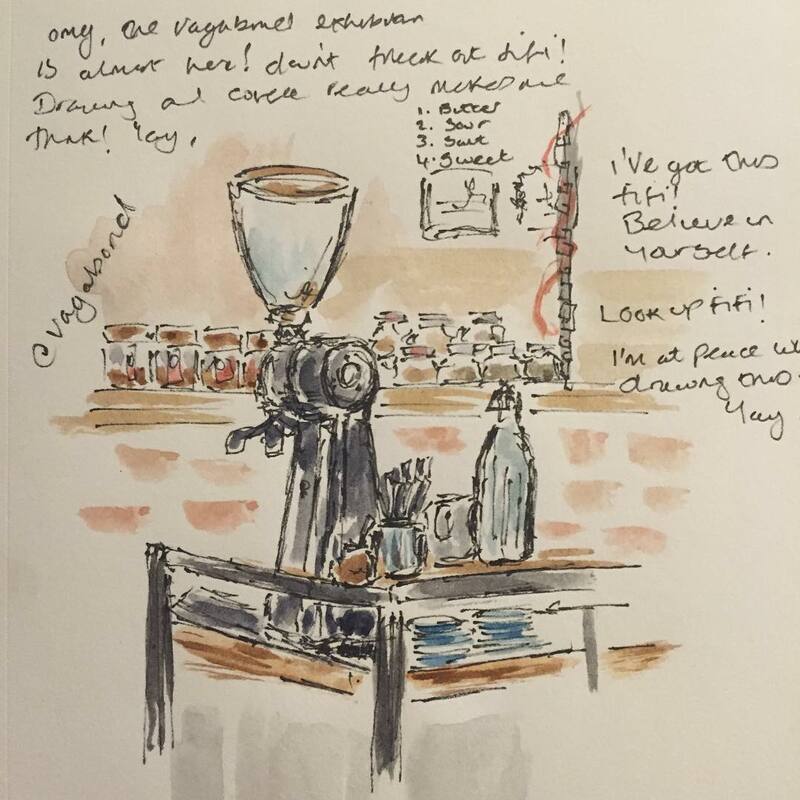 Over the past 12 months, I have participated in the Coffee Art Project as part of the New York Coffee Festival 2017, I’ve been commissioned by Forty Hall in Enfield, and sell prints on the Word on the Water at King’s Cross.